I have a list of scheduled posts that I want to publish every week on my blog, and I try to stay a few days ahead of that queue to have room for when I’m unable to write, or if I want to take a break. I find consistency is very important to keep the momentum going for my work. Since two months I post every day from Monday to Saturday, and I want to do so in the future as well, as I really like doing it. I use the Hugo Static Site Generator, hosted on Netlify. It’s an amazing combination of tools, and I’m very happy with the blog setup. Today I was out hiking on a mountain when I realized I got past my usual posting time, and I didn’t publish the blog post I already scheduled. With Hugo I can set a post date in the future, and when the site is rebuilt using the hugo CLI command, that post is not included in the resulting HTML, as it’s a future post. Netlify has this nice concept of building the Hugo site on their servers, so what I need to do is just trigger a new deploy. 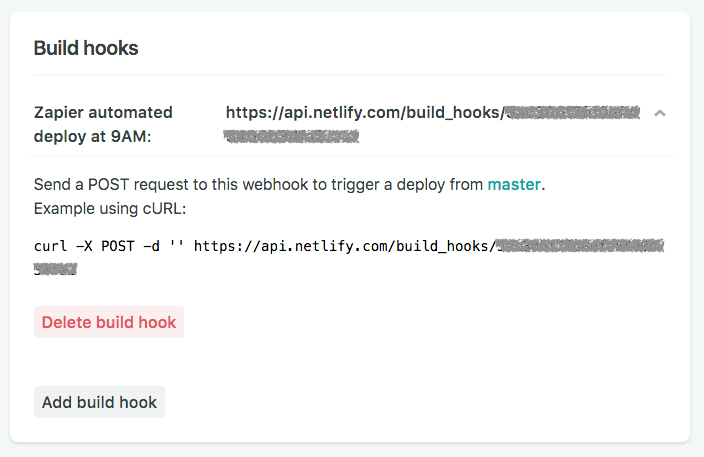 Usually deploys happen when I push something to GitHub - Netlify is alerted automatically and deploys in a minute or less. 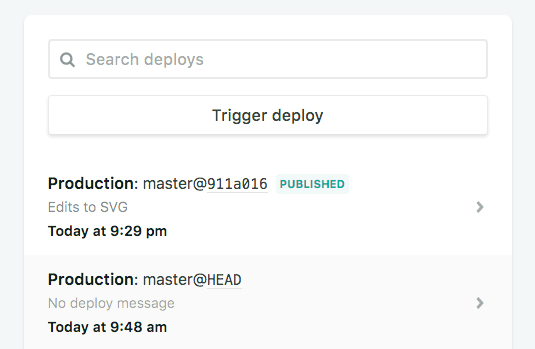 In this case I needed to manually trigger a deploy on Netlify so I logged in using my iPhone, and clicked “Trigger deploy”. This action rebuilt the static site using Hugo, on the server side, and I just put my phone back in the pocket. 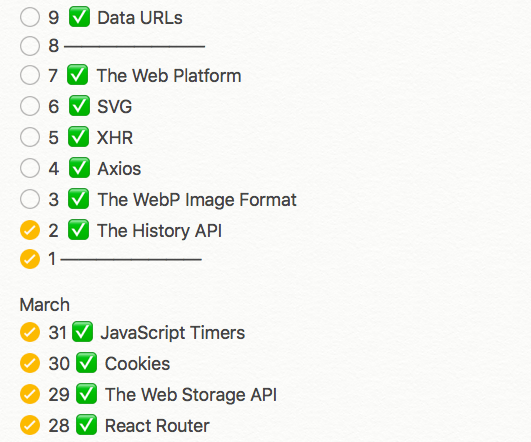 The blog post launched 🎉 and I just tweeted about it. As I was walking, I realized I can automate all this stuff. 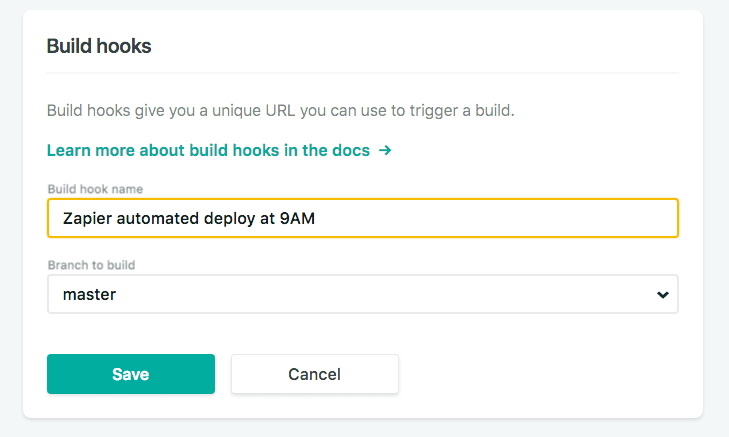 I just need to trigger a deploy automatically every day at 9AM, somehow. So I looked on the Netlify interface if they had any kind of automated timer for recurring deploys. There is no such feature, however they have a WebHook endpoint. So I looked for something that I can configure to POST to the WebHook every day. Enter Zapier. 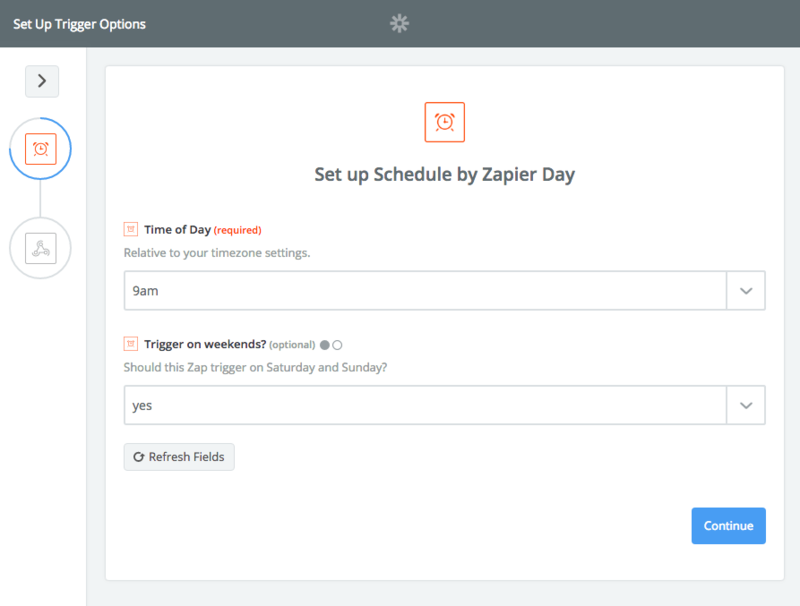 Zapier is a tool that’s all about automation. Googling around I found a Zap to send a WebHook POST request on a daily schedule, and that’s exactly what I needed.